30%-50% of oil well abandonment is caused by damages to Casings due to misconducts on Casing running. According to international practice, running casing is normally entrusted to professional third party experts. Our proprietary control technology of torque-circle-time radically solves technical problems. 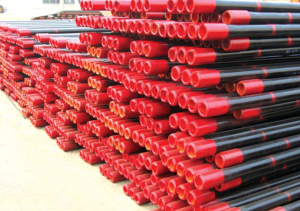 With the professional third-party Casing running work, we can meet various requirements of Casing threads and connections. 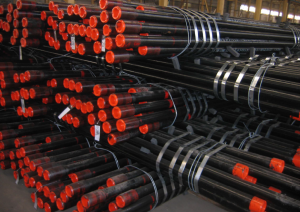 Third party work provides the reliability and guarantee for casing running. A specially designed computer programme oversees the making-up and tackles the defective casings outside the well. All operating personnel are professionally trained and certified. Analysing the making-up curve is monitored by computer, to avoid the unseen defective Casing running.